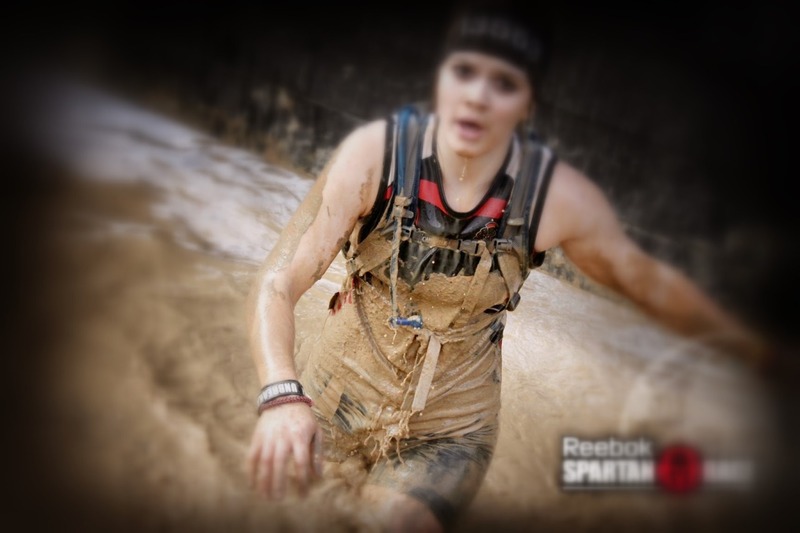 Home » SHOULD I WEAR A HYDRATION PACK ON A MUD RUN? This question comes up on every board, blog, and group time and time again. It is also a common question asked of most first time racers of these types of races. So what is the answer and more importantly, what is that the right answer? First, lets clarify that this post is in reference to races involving mud, such as Tough Mudder, Spartan Race, Atlas Race, etc. It is not meant to answer the question for those asking regarding road racing or trail races. There are many reasons why wearing a hydration pack during an race is a bad idea and we’ll make mention of many of them, but let’s start with the most critical reason – contamination! 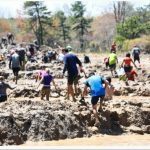 Every event has thousands of participants splashing down into the mud pits of the event. Some are just mucky water and some are pure mud – thick and gloppy. If you have a weak stomach, it is advisable to skip forward from here…. So what is in that mud? First, you have the elements of the ground that make up the mud. This sometimes contains manure and other unsanitary elements. Then you have the water which was likely pumped in from some unknown source – not a fresh drinking water source. Finally, you have the gel, lotion, sunblock, sweat soaked and plain unshowered bodies and all of its parts washing off in the already tainted mud. Do you really think the guy next to you showered before he started his race? ….you can begin reading again. Now that you know what the mud contains, do you really want to place your drinking straw though that and then into your mouth? Sure, you are going to use the water in the pack to wash off the mouthpiece – with muddy hands? 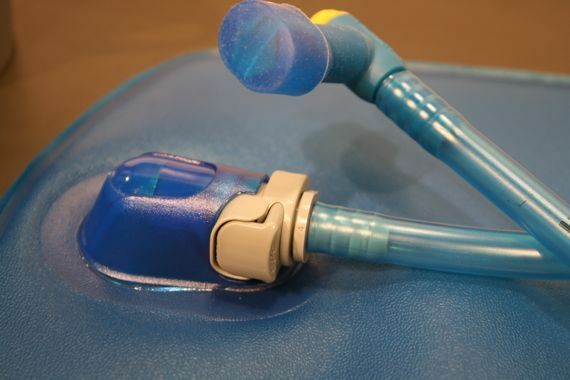 So you wash your hands and the mouth piece with the water in the pack – are you sure? So you use the water at the water station (um, fresh water at a water station?) to wash it all off. You’re good to go, right? Ever think that while you were wading through that some of that contaminated water made its way up the straw you are now re-hydrating from? Or that it made its way in though the fill cap? Remember the water station you used to rinse off at? 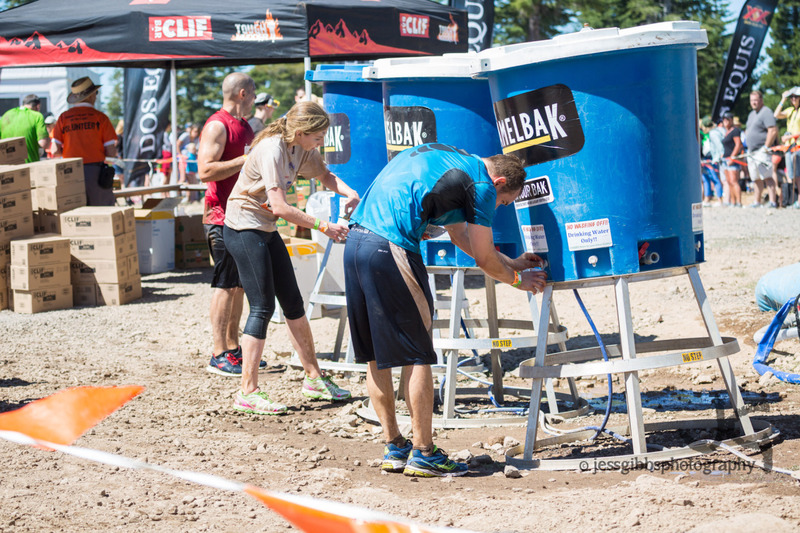 The reality is that race organizers, as tough as they want to make it sound, are going to place enough water stations through the course to be sure that everyone has an opportunity to be properly hydrated – that means you. So rather than risk the myriad of bacteria living in the mud, hydrate properly before your race and use the provided aid stations. There are other reasons not to wear a hydration pack during a mud run. Aside from the clutter placed in your pack, these packs add weight. 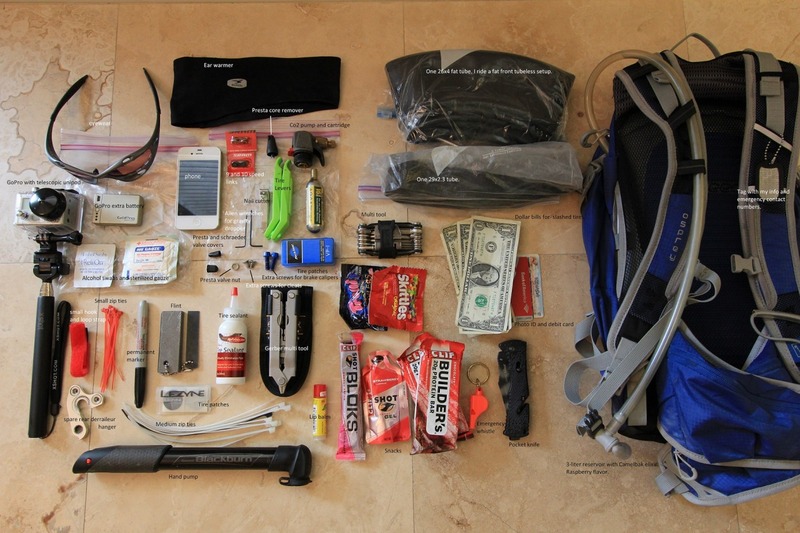 The weight comes in the form of your clutter (stuff), water (bladder), and the wet weight and mud in and on the pack. A 2.0 L bladder of water weighs in at 2.25 lbs. The CamelBak M.U.L.E (a popular OCR model) weighs in at 1.85 lbs. And, lets just say your clutter (stuff) weighs 1 lb. That’s 5.1 lbs dry and likely 8+ lbs soaking wet and full of mud and sediment. Depending on the length of your race you will have to run with this 8+ lbs, something I sure you did not train with, and swim, climb, crawl, and jump. This will add an undue amount of stress to your body and make the event that much harder to complete. Once you carry this much weight, your knees take a beating and the straps pull down on your trapezius. This causes the body to fatigue much faster than without the weight. The bag also swings as you run, throwing off your cadence, slowing you down and setting you up for injury. 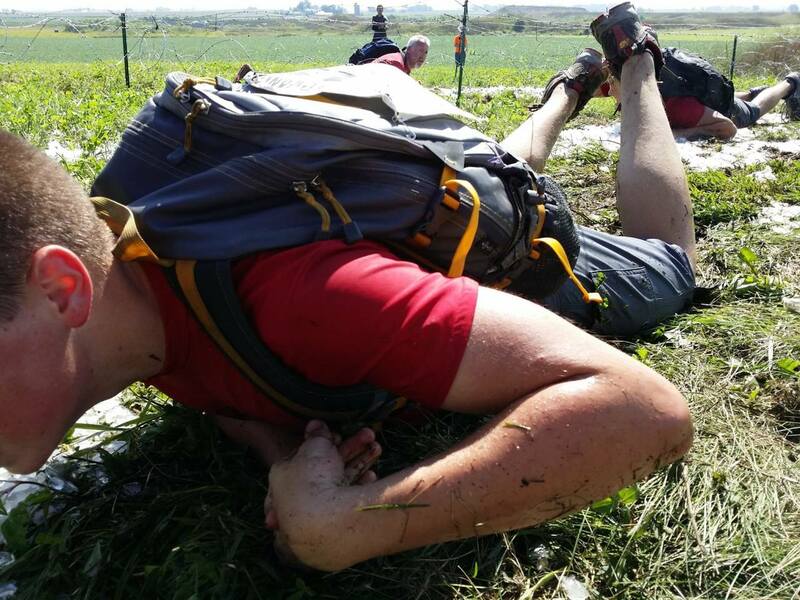 Obstacles requiring balance are made significantly more difficult and crawls under barbed wire become a sequence of crawl – get pack caught – unhook pack – repeat. So why carry it? We have eliminated the need for water for the sake of contamination, weight, and because water exists on the course already. We have eliminated the pack for the sake of weight and the extra weight it gains when wet, in addition your hindered ability to perform obstacles. So why else would you need the pack? I am sure you need your sunglasses, cell phone, selfie stick, GoPro, money, gum, wallet, gel shots, candy bar, etc, right?! (Ok, a little sarcasm was in there.) But think about this: if you didn’t have the pack would you need to bring these items along? Not likely. This is the clutter that is completely unnecessary and again, adds weight. If you need to carry fuel during the longer races, do so in a compact and light weight waist pack. These packs don’t get in the way of running, swimming, or obstacles. When wet, they weigh very little more than their dry weight. Nathan Gel Pak – my recommendation for longer races requiring fuel. 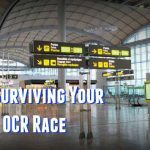 So before you head out to pick up a pack or borrow one from a friend to use in your upcoming OCR event, ask yourself if you truly need the pack for any particular reason and reflect on the points discussed here. Note: There are races that require you to be self supported. In this case a pack is essential, regardless of the mud; however, selecting the right pack is critical. 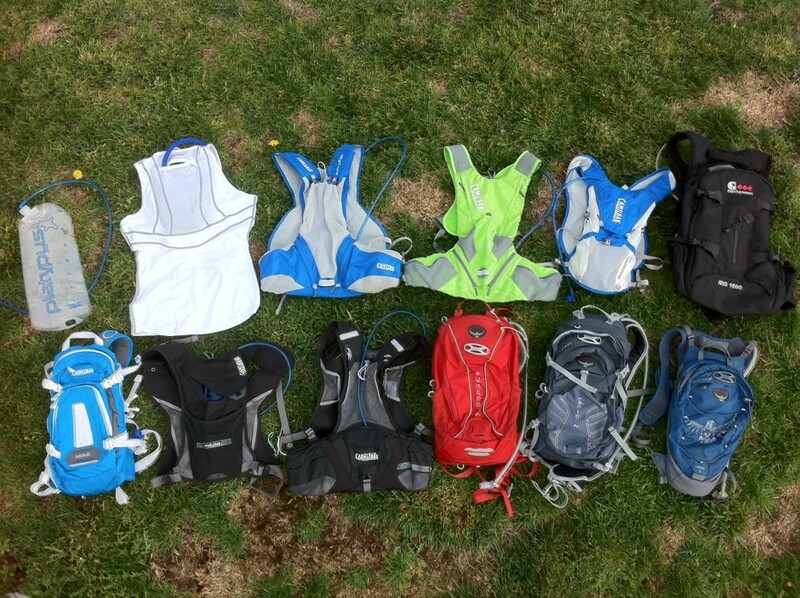 Read our blog on essential packs for self-supported races coming soon.